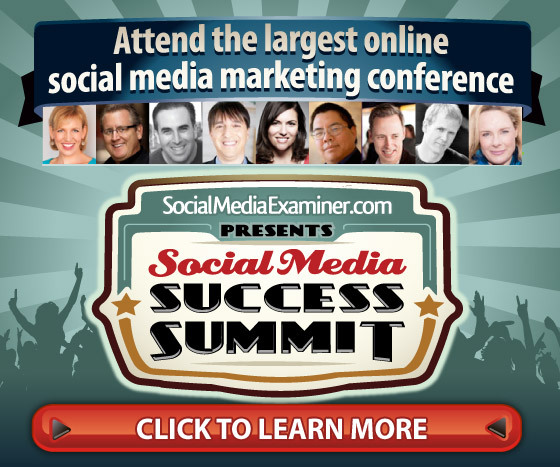 Looking for ways to boost your Twitter following? It is helpful to know which Tweets bumped up your engagement, and where your engagement peaks and valleys fell over the course of a campaign. But it’s more helpful to know which types of engagement your peak and valley posts received. These are the different engagement types on Twitter and what they mean. Replies: Twitter followers/users felt passionately enough about your brand and/or its Twitter content to reply and try to engage directly. Next steps: Conduct sentiment analysis and drill even deeper into the specific replies to understand what’s going on. Retweets: Twitter followers/users either very much like what you’re saying, want others to see what you’ve said — or both. Next steps: Pay special attention to your Tweets which get a lot of Retweets, make sure you understand why, and try to replicate. Mentions: Twitter followers/users want to talk about your brand. Next steps: Jump into the conversation, even if it isn’t directed at you. Whether a Twitter user is complimenting your brand or complaining about it, do whatever you can to make yourself an ally and give your brand a personality. Favorites: Twitter followers/users are big fans of your Tweet, but don’t necessarily want to take their love a step further. Next steps: It’s worth looking at the overlap here between Twitter users who Favorite your content and also Retweet it. This is a simple yet effective way to benchmark the resonance of your Twitter content over time. Put together short video breakdowns of an employee giving the “need-to-know” facts about a major news story, industry event, or any other “Moment” you want a piece of. Help Twitter users cut through the noise. Do you have a major influencer or partner with his or her own significant Twitter following? Host a Q&A focused around that person. Twitter Moments offers greater visibility for events like this than ever before. The opportunities for experimentation with Twitter Moments are endless. Get out there! Turn a Twitter Moment into your brand’s moment. I turned to our Senior Marketing Manager, Danie Pote, to understand how she makes her paid efforts on Twitter work. Twitter lists help you keep an eye on people who are important to your brand, whether you’re looking at them on the Twitter platform or using a multi-column app like Tweetdeck. First, find out who your brand’s most engaged users, most followed users, and top users by Klout score were for a particular Twitter campaign. Then, create a Twitter list which incorporates all these users. When you put together a similarly focused or themed Twitter campaign in the future, begin by reaching out to these users to build initial buzz. Most likely, your brand isn’t just on Twitter, so remember not to look at your efforts and results on this network in some kind of vacuum. You might find you can reutilize resources, from text to videos to captions, on Facebook or Instagram, and cut down on your time spent creating brand new content for these networks. Or you might find the opposite — that you’ve been trying to post the exact same content across all your active social networks, and this isn’t creating the kind of engagement you’re looking for. Examining your campaign results on Twitter alongside results on your other social networks will tell you whether you need to pivot for the next time or keep doing what you’re doing. Small business owners often find that Facebook helps their bottom line, but how can you be sure that your time on the social network is well spent? If you don’t have time to update your Facebook page, there’s no reason to have it. Tools like Hootsuite allow you to schedule posts, so you can spend a few minutes once or twice a week to populate your Timeline, and none of your followers will be the wiser. Reply to people who comment on your wall, even if their comment is a complaint. A negative experience that becomes positive in the public realm helps your brand while you can also direct customers with complaints to the person who actually can help them. Yes, Facebook is a place where you can post a link to your latest blog post or talk about products added to your eCommerce website. However, you don’t want to only do those things. Post customer photos or links to industry-related news. The latter helps build you as an authority. Make Goals Do you want more followers? Do you want to see Facebook Insights graph raising as more people talk about your brand? Maybe you want people to sign up for your newsletter or feed. Or is it important to get more traffic to your website or see greater sales? Being active on social media can do all of these things, but your strategy may change if you want to focus on one over the other. Facebook has built in Insights for page owners to see how well their posts do, and you’ll find similar metrics if you purchase advertising on the social network. However, you can also use Google Analytics and other tools to measure the success your activities on Facebook, which you’ll want to do to be more successful in the future. While Google does not give us the ability to insert a hyperlink in a Google Calendar description by default, with a little HTML action we solve this deficiency. Education application: Perfect for teachers that want to share assignments or resources on a public calendar to their students. Public school calendar for an administrator or counselor to share date specific resources. See how to use it in the video below. Shared courtesy of the fine folks at SME! 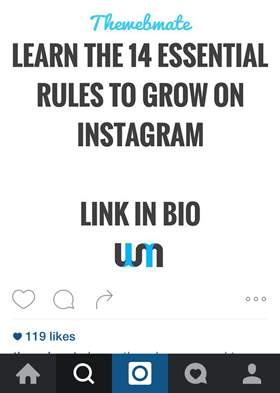 The first thing to do is to identify potential Instagram influencers and reach out to them. Take your time exploring Instagram pages that are related to your business and whose followers align with your target audience. You can simply go to the Explore tab and search by keyword to find potential candidates. Once you’ve found an interesting account, look at the suggested accounts that appear next to the account’s Follow button. Find influencer prospects by looking at the Suggest accounts for any user. Make a list of at least 10 accounts you want to target, focusing on ones with more than 100,000 followers. The more substantial the account’s follower base, the more successful your campaign is likely to be. However, don’t look only at the number of followers that an account has, because that doesn’t tell the whole story. Look at the posts’ engagement (the number of likes and comments) and make sure there’s a good balance. After you’ve compiled a list of influencers, it’s time to reach out to them. You want toask if they would consider adding a link to your landing page to their bio. Influencers who are open to advertising opportunities include contact info in their profile. Reach out to these influencers to see if they’re open to advertising your product or service. Once you have their contact information, it’s time to craft the message you’re going to send to influencers. Explain that you’re looking to promote your Instagram account and business, and want to know if they’re open to advertising opportunities. If they are, you’d like them to send you a quote. You’ll get different types of quotes, based on the number of followers for the account, its engagement and the industry. Prices may also vary depending on whether the account is personal or branded. Try to negotiate on pricing. You’re not dealing with Instagram directly, so pricing can be tailored based on your profile and situation. Some Instagram accounts earn over $10,000 a month, so don’t be shy about negotiating on prices. Keep in mind that if you’re a small business, you may want to reach out to smaller accounts first. Then if you see a nice return, you can move on to larger accounts for future influencer campaigns. If you contact a personal Instagram account with over 500,000 followers, the account owner might not be the one who replies to you. Instead, you may hear from an agency or a manager who is acting on their behalf. After you have a list of influencers who’ve agreed to work with you, you need to create a landing page for your campaign. 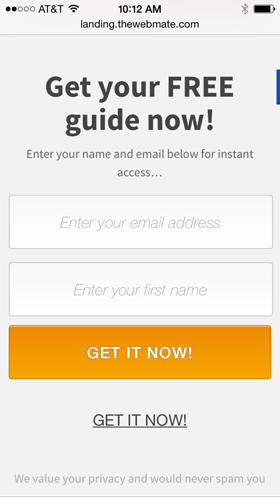 The landing page should be a simple web page andinclude an opt-in form. You want to drive traffic from Instagram to your landing page and invite visitors to provide their contact information. To do that, you’ll need to provide a free offer to incentivize them. On your landing page, offer users an incentive to give you their contact information. 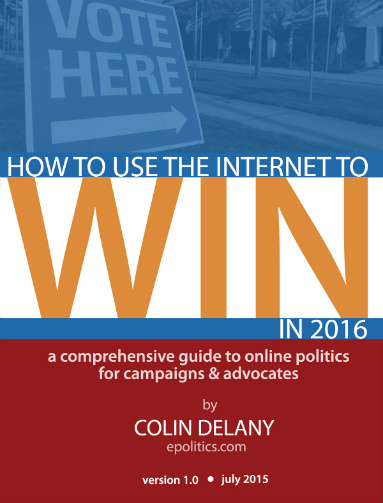 The offer can be a free guide, report, lesson, ebook or webinar in exchange for something from users. Because you want to generate leads, ask your visitors to provide their email address. Remember that the more valuable the information you offer, the more likely people will appreciate and remember your business. The goal of your landing page is not to sell but to attract new leads. 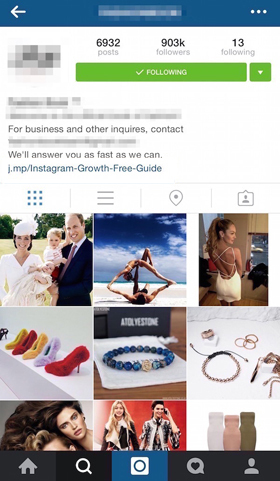 To catch the attention of Instagram users, the page needs to be clear, concise and engaging. It’s also important that the page is responsive since most of your traffic will come from mobile devices. After you choose an influencer, you’ll need to deliver your promotional materials for the campaign. Provide a caption with a strong call to action. Invite the influencer’s followers to check out your link in the influencer’s bio. Share the link to your landing page. Edit the link with a link tracker so you canmonitor the clicks and the return on investment (ROI) of each influencer campaign you run. Give your partners everything they need to promote your link. After you provide these three elements, the influencer will publish your post and add your link to their bio. The account’s followers can then start engaging with your ad. 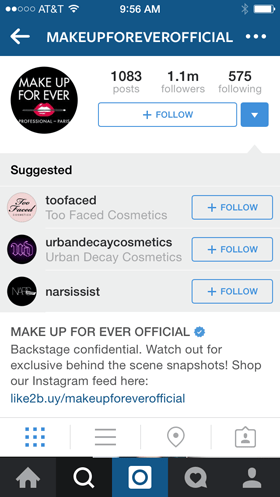 Another way to leverage your relationship with influencers on Instagram is the paid shout out (or mention). In exchange for a fee, influencers will mention you to drive their followers to your account. When your Instagram account is on target with the accounts that mention you, you’ll attract more followers, and ultimately get more traffic to the landing page you link to in your bio. Instagram now has over 300 million users, many of them Millennials. If you want to generate new leads from the platform, you don’t need to have tons of followers or even have an Instagram account. With an Instagram influencer campaign, all you need is a simple landing page and a minimal budget to invest. What do you think? Have you reached out to Instagram influencers to promote your business? Which influencers have you worked with? What were the results of your campaigns? Please share your thoughts in the comments below.